Hope everyone has safely dug out from under Snownami of 2011. A blizzard where I live is unusual. Good freaking God what’s going on with the weather!? Iatrophobia – fear of going to the doctor. Iatro- from the Greek iatros meaning healer or medicine. I knew someone who was iatrophobic and didn’t go to the doctor when she found a lump. In six months she was dead. Go to the freaking doctor already! 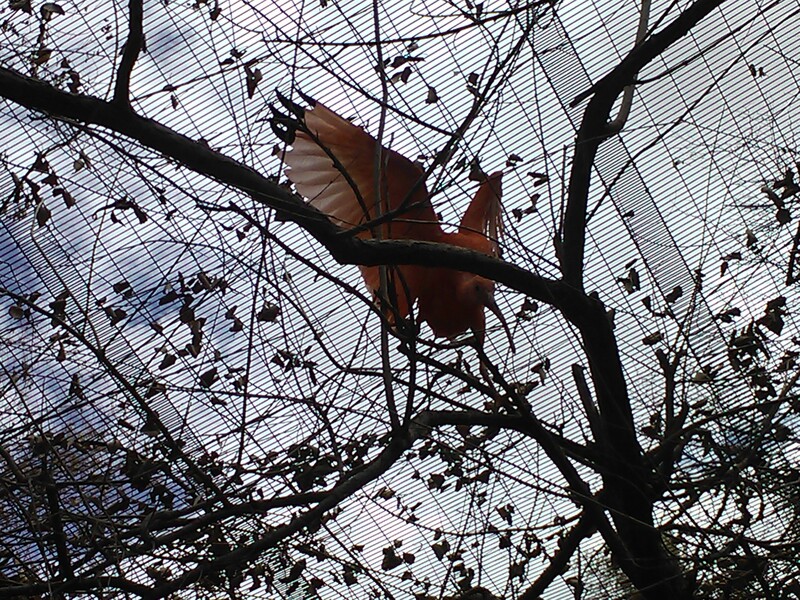 Ibis – a wading bird like herons or egrets. They feed on frogs, reptiles and crustaceans. Pretty bird, yes you are! Ichthyoid – fishlike. Barney had a pooched, ichthyoid mouth that gave Ellen the creeps; every time she saw him, she wanted to sprinkle goldfish food over his head. Idiopathic – as in a disease, no known cause. I.e. – abbreviation of id est, Latin meaning that is. 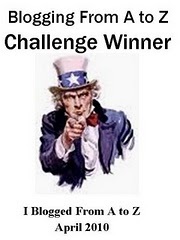 Used when an explanation or paraphrase will follow. The brown fox has seven kits–i.e., babies. Ifrit – a smoke djinn (spirit), in Islamic mythology. 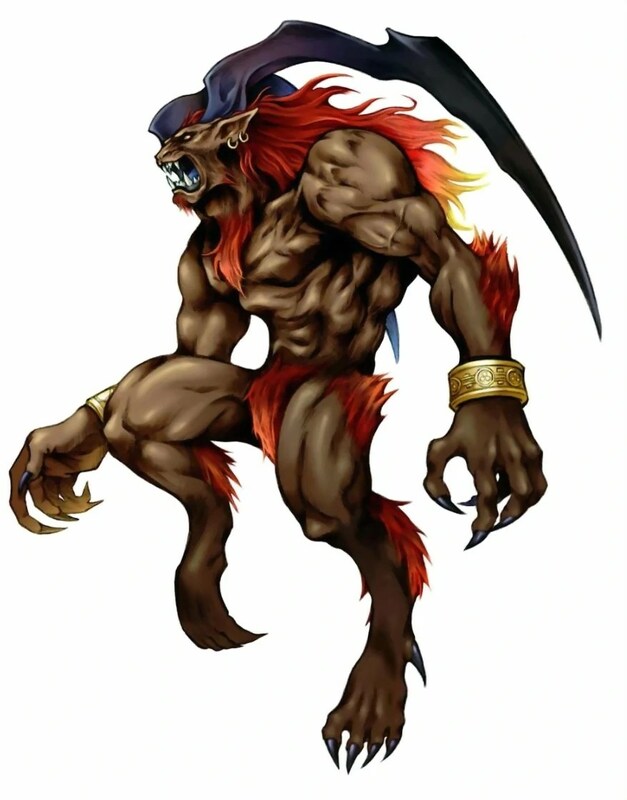 In the Final Fantasy series of videogames, an ifrit could be summoned magically in battle to do fire damage to opponents. Ihram (ee-RAHM) – white robes worn by male pilgrims at Mecca. Two cloths, one wrapped around the waist and one over the shoulder, eliminate any class distinctions and signify a consecrated state. Illude – to trick or deceive. Not to be confused with elude, which means to avoid or escape by trickery, or allude, to indirectly refer to something. Batman knew the Joker liked to illude him, and he enjoyed alluding to the time he eluded capture by setting off a hidden stink bomb and saying Alfred farted. Impregnable – no, this doesn’t mean you can’t get pregnant. It means unconquerable, unable to be taken by force or overthrown. Insouciant (in-SOO-see-ahnt) – carefree. Han Solo drank and laughed an insouciant laugh, although he knew Boba Fett was hot on his trail. Chewie would protect him, if he could get away from the space hookers combing his shaggy fur. Surely they didn’t think the Wookie had any money. Ionosphere – the part of the atmosphere of Earth that radio waves bounce off; it begins about thirty miles above the surface. 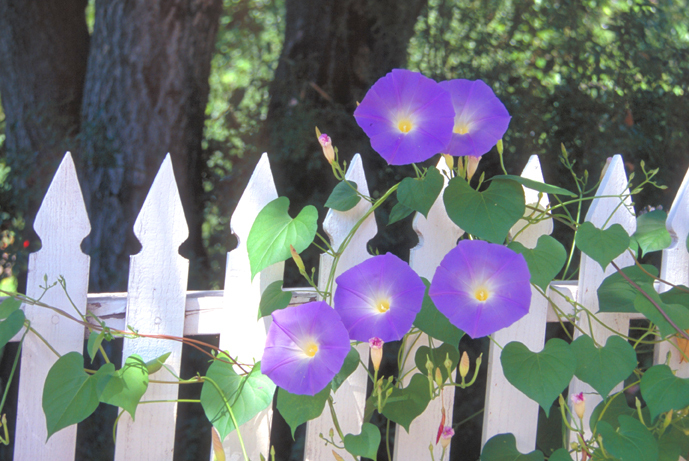 Ipomoea (ip-uh-MEE-uh) – plant genus of the morning glory family. Pretty, but will take over your garden if you don’t stop it NOW! Irascible (ih-RAS-uh-bul) – irritable, easily provoked. Now get off my lawn! Isobar – in meteorology, a line on the map that connects areas of equal barometric pressure. When you see a bunch of them packed close together, that means it’s gonna be windy. Hold onto your brelly! It – a great book by Stephen King. Touches on the power of childhood and imagination, and of course contains the most viciously frightening clown ever created, Pennywise. I will not include a picture from the miniseries. Too scary! Ivoride – a substitute for ivory. Elephants are the typical prey of ivory poachers, but walrus, hippos, narwhals and mammoths (dug-up tusks) have been used for this toothy substance. Harvesting and importing ivory is illegal! Ixodic – related to or pertaining to ticks. Bleah. 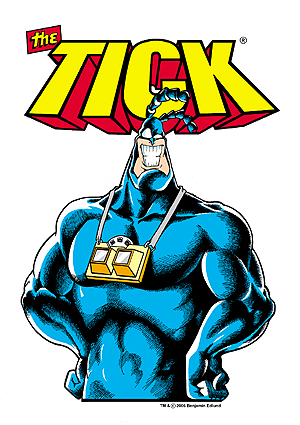 Not the yucky tick, the cool Tick. Izzat (IZ-uht) – personal dignity, prestige. Izzat your medal I see there, you dignified thing, you? That’s all for today, kids. Until next time! Greetings from Florida! I’m bored to death at work so I decided to browse your blog on my iphone during lunch break. I love the knowledge you provide here and can’t wait to take a look when I get home. I’m shocked at how quick your blog loaded on my phone .. I’m not even using WIFI, just 3G .. Anyhow, awesome blog! Thanks, Damon! I recently redid the theme. The other one was black and red, and it was starting to give me eyestrain, LOL. I hope you like the rest of the posts. :) If you do, feel free to subscribe and you’ll get an email when I post.